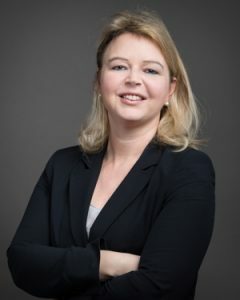 Brigitte Ecker, born 1977 in Vienna, is expert on innovation policy, higher education and evaluation. At present she is managing director and senior scientist at WPZ Research in Vienna. Brigitte is also lecturer at the UAS Technikum Wien and consultant at the VDI/VDE Innovation + Technology GmbH in Berlin. Since 2004 Brigitte is working on the analysis and conceptualisation of governance and policy in science and innovation. Currently, she is engaged in an OECD/European Commission funded project to explore higher education institutions related to their entrepreneurial activities, including leadership, staffing and links with business in Austria (HEInnovate). Brigitte also works on policy instruments for science-industry knowledge transfer, as well as on dynamics of and drivers for internationalisation of research and innovation activities. Another area of interest is to understand how tax incentives for R&D are designed and which impact they have, not at least compared to direct government funding.